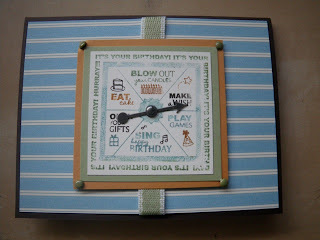 March and April are busy "birthday" months - lots of family and friends celebrating! 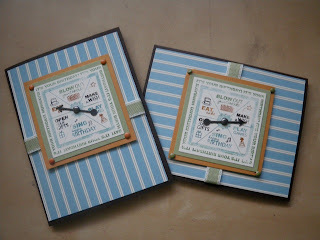 These two cards are just the start of many that I need to make in the next few weeks. 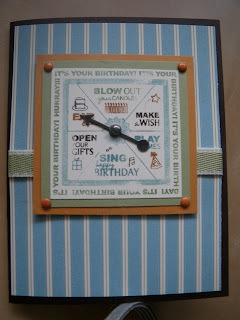 This card uses the "Take a Spin" set. The set includes 4 stamps that are amazingly versatile for celebrating birthdays, holidays and for celebrating great work or great people! 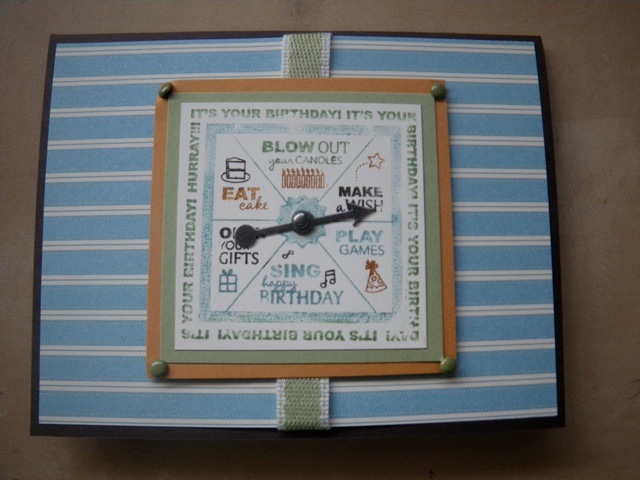 The cards use "spinner" brads that add some fun! 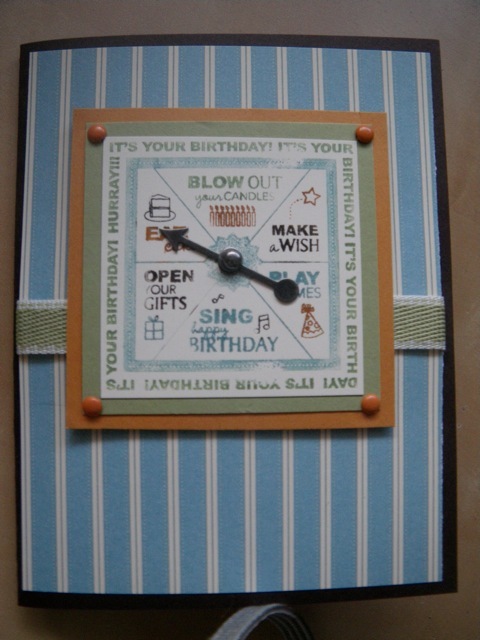 Stay tuned for more samples of birthday cards!